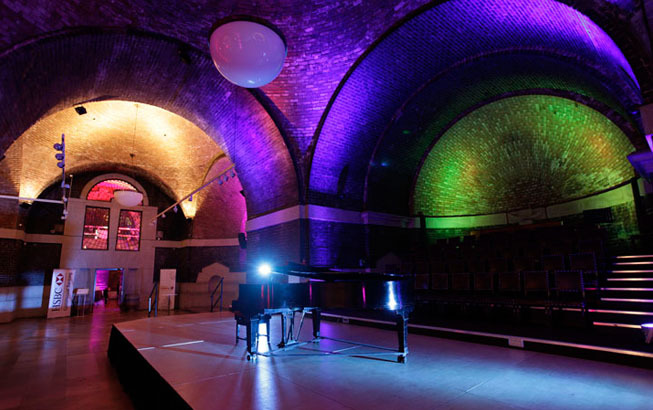 The Concert Room is an ideal setting for conferences, concerts and recitals with audience seating for up to 250 people. Equipped with an adaptable and accessible stage and tiered seating for instrumentalists or singers, it also has a Steinway grand piano available for use. Alternatively however, the Concert Room is also a splendid venue for dinners for up to 150 guests in an intimate atmosphere. The adjoining Pontifical Hall can provide a delightful reception area for drinks and canapés beforehand.